RUSH: On the Manafort thing, just so I’m not accused of brushing it aside, here’s the thing to know about the Manafort thing. Mueller wants to put him in jail because he supposedly has been tampering with witnesses. So the thing to learn from this is that Mueller still isn’t anywhere near any evidence whatsoever on collusion on Russians or any of this. This stuff with Manafort is still nothing current. Nothing, nothing about this Manafort charge has anything to do with what Manafort did after he met and started working for a couple months for Trump. That’s the takeaway. Whatever Mueller does, there’s no collusion to it. There’s no… There’s no obstruction. Not that they’re supposedly trying to tie to Trump. 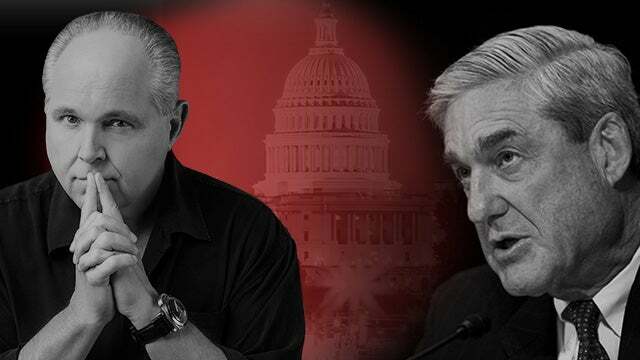 RUSH: I’ll tell you something else about this move by Mueller to put what’s-his-face, Manafort, in jail. Anybody who thinks this is getting ready to wind down, you better think again. This isn’t getting anywhere near wrapping up. If this guy wants to put Manafort in jail for witness tampering until his trial and somebody thinks this guy gonna be over by Labor Day, there’s no way. Folks, this isn’t gonna end. This investigation’s gonna go on as long as they can get away with it. The objective here is to overturn the election, even if it takes them three years to do it. But I think Rudy really believed it. I think Rudy thought that finally, you know, a big guy was on the Trump team, and he’s one of Mueller’s equals. They go back and they’ve both held ranking positions in the establishment. I think Rudy thought he could go talk to this guy one on one — you know, one former mayor, one big lawman to another — and say, “Come on, Bob. We all know what’s going on here. We need to wrap this up.” I think there’s still some people on the Trump team that may not fully understand what’s going on there. You might think that’s crazy, that clearly by now they have to know. But I’m not sure that a lot of them do. Like Trump’s first legal team. I don’t think they had any idea, really. You know, understanding the Democrats… Who among the Republicans really does understand the Democrats, aside from this show and some other conservative media outposts? Not very many. They still think the Democrats and the Democrat Party of old who you could sit down and negotiate with, cross the aisle, all of that rotgut. But Doug Schoen’s piece, “Democrats Are at War with Each Other — and It Could Spell Disaster in November.” And, you know, the point of this is not just what’s happening internally in the Democrat Party. Schoen is right. The Democrat Party is being overrun by radical leftists everywhere and predominantly from California. You look at the California congressional delegation — the senators and the members of the House — and you look at the California state assembly, and you look at the ranking leadership there. That’s where much of the truly radical leftist Democrats are — and in New York and in Illinois and Chicago — and they’re takin’ over. There are some old-line Democrats like Doug Schoen that go back 20, 30 years that you would think would be the old traditional Democrats. They were still a bunch of leftists, but they were more liberals. These are leftist radicals, and they are taking over. Now, what it would say if I were in the Republican Party? I would be leveraging this and take advantage of it the best I could, because my objective would be to wipe these people off the face of the earth, politically. Wipe ’em out every election. Defeat ’em, defeat ’em, defeat ’em. If they’re having internal squabbles, and if they’re being taken over by a faction of leftist radicals that in no way represent the majority of this country, then identify ’em and zero in on ’em and defeat them. But yet we are here to ask: Outside of some conservative members in the House, where is the House? Now, Mitch McConnell, he doesn’t have too many votes to play with in terms of majority. Thad Cochran doesn’t know where he is half the time, and McCain is ill out in Arizona. And then you’ve got some malcontents in there that are from the anti- or Never Trump sector. But the House is not that way. There’s still a sizable majority there, and it just seems that, you know, they’re a coequal branch not acting like it. At any rate, it’s a golden opportunity, with Trump at the helm here and leading things. It’s a gold opportunity to take Trumpism, which is nothing more than restoring America’s greatness and making it the official position of the Republican Party and causing it to sweep nationwide. With the Democrat Party — I think Schoen’s right — fracturing the way it is. It is an opportunity. RUSH: Here we go back to the phones. This is John in San Diego. Glad you waited, sir. Hello. RUSH: Well, Apple has an answer to that. It’s called Do Not Disturb While Driving. CALLER: Oh, yeah. My boss has that, and every time it comes back to me, you know, “I’m driving,” and that’s good. It’s just like, you know, it’s against the law to drink and drive. So, I mean, if I can text and drive and get, you know, I’m gonna do it. That’s just how people are. It’s just, you know, really dangerous. But my question to you, you brought up the point earlier on Rudy Giuliani about him saying that, you know, we hope to wrap this up two to three weeks. Now, do you really think he believed that when he said that? 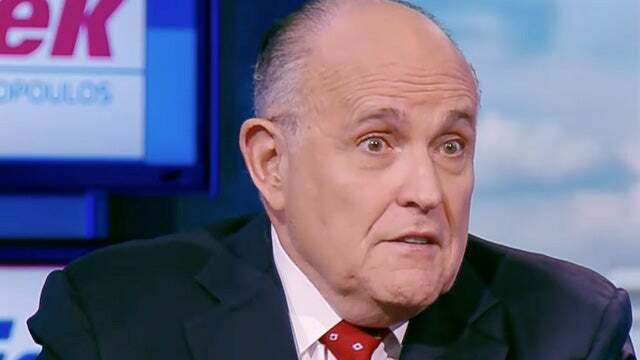 You reeeeally think that Rudy, with all of his experience, thought that we could wrap this up in two to three weeks, or was he just pouring gas on the, you know, mainstream media fire to get rid of Trump? RUSH: How would that be pouring gas on the fire? 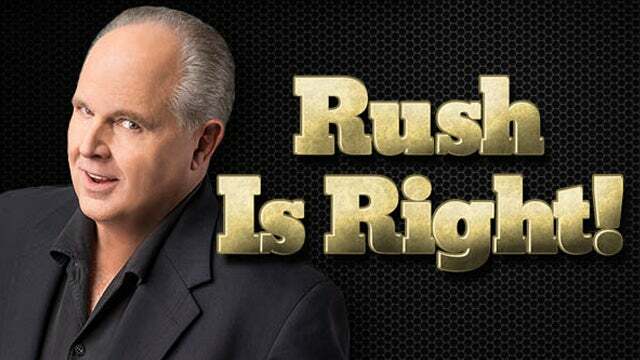 RUSH: You know what? I’m gonna take the occasion of your call to get to a sound bite. Where is this thing? It’s grab… I tell you what. I may have time for it on this break, 9 and 10. Let’s go to them right now. Don’t go away here, John. Hang on. We’re gonna go to Fox Business Network’s After the Bell yesterday, David Asman is speaking with Dan Henninger of the Wall Street Journal. And he pose this is question. Sound bites 9 and 10. Here we go. ASMAN: I just want to play a tape of what Rush Limbaugh said about that today and get your reaction. Play the tape. RUSH ARCHIVE: The whole point of asking the question is to establish the atmospherics that Trump has done something with profound enough guilt that pardoning himself is actively being considered, when it isn’t. Never answer a hypothetical. Or, answer it with another question. HENNINGER: Trump is well aware of the last part of Rush’s statement, which is to raise another question. Donald Trump understands — has understood his entire life — if you’re not on offense, you are on defense. And I think that’s why he brought Rudy Giuliani on, was to go on offense and keep the argument. ASMAN: But instead Rudy kind of fell in the trap of establishing the atmosphere, in Rush’s words, bringing this forward (chuckling), the whole idea of pardoning. HENNINGER: I don’t think the president cares one way or another. In Trump’s world, he wants his people going on offense because he knows it’s him against mainly the House, the mainstream media, and the Democrats. RUSH: And, now, it’s interesting that Henninger includes the House in there. He’s referring to eventual articles of impeachment. But he’s also referring that the House is kind of taking a standalone, stand-aside attitude in all this, which is really perplexing. So his take on this, John, “Nah, Rudy… It doesn’t matter what Rudy says. As long as Rudy’s out there attacking Trump is perfectly happen with it.” What do you think? GIULIANI: I can tell you as a lawyer, the pardon power is complete, and there is no limitation on it. Would somebody impose a practical limitation on it? Absolutely. You can’t pardon yourself from impeachment. He’s not gonna pardon himself. If you want to have a nice issue, you know, about this very, very hypothetical point, is that power so broad? There’s nothing that says yes, and there’s nothing that says no. In a law school exam, I’d give you an A if you said it’s an open question. RUSH: Okay. Gotta take a break. That’s Rudy. Okay, Rudy, that’s it. That’s it. We gotta break here. Trump radio, back in a moment. RUSH: Here is Andy in Jacksonville. Great to have you, sir. How are you? CALLER: Hi. Good afternoon, Rush. It is a pleasure to talk to you again. CALLER: I was gonna scratch your back a little bit and I told Snerdley that, you know, I remember the first time I ever heard you. My mother had called me up. I was living in Orlando; she called me up and said, “You gotta find this guy Rush Limbaugh on the radio. Everything he says is exactly what we think in our family.” So I found you, and I listened to the first program I was driving down Highway 427 in Lake Mary, Florida. I found you, and I’ve been hooked ever since. CALLER: I’ve listened to you for three decades now. Three decades! RUSH: And I appreciate you. Everybody remembers where they were and what they were doing when they first heard this program. What would…? You say you have the answers to why people listen. CALLER: Oh. Well, if you’ve got the same conservative values and what you preach on the radio, yes, absolutely. I mean, just the on-hold stuff that I’ve been listening to for the last hour and a half has just made me like you that much more. RUSH: Oh, yeah. We have special treats for people on hold. We recycle some of the old parodies and funny bits that have had their life span cut short on the over-air portion of the program. So we treat callers on hold to those. Those are little snippets of history in time, that indicate what the program was doing. Well, I appreciate that, Andy. I really do. Thanks very much. Couple things here about… Since Hillary’s name come up and about Obama in relationship to what’s going on to Trump. Now, one of the things that Mueller and the media and everybody’s chasing down is that Trump colluded with Putin to steal the election and that Trump has engaged in obstruction of justice, right? Well, the fact of the matter is, Barack Obama colluded with Putin numerous times on nuclear missiles and did it publically. You know the open mic incident; I don’t need to repeat that. But Obama has obstructed justice. Obama has obstructed justice far more than Donald Trump could ever dream of obstructing justice, and he did it with Hillary Clinton. I just want to remind you of this. Obama was on Fox News Sunday on April the 10th in 2016. 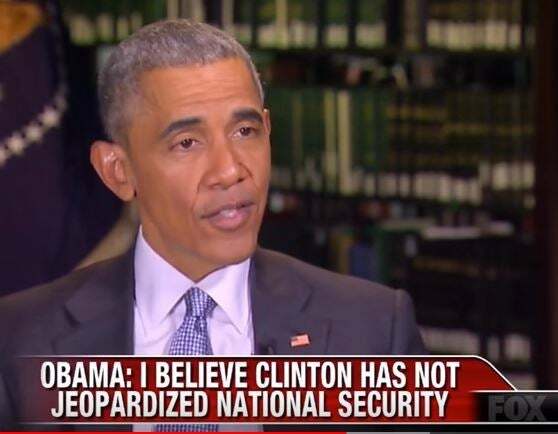 Chris Wallace said, “Can you say flatly that Hillary Clinton did not jeopardize America’s secrets?” And Obama said, “Well, I gotta be careful because there have been investigations, there are hearings, Congress is looking at this. And I haven’t been sorting through each and every aspect of this, but here’s what I know: Hillary Clinton was an outstanding secretary of state. “She would never intentionally put America in any kind of jeopardy. I continue to believe that she has not jeopardized America’s national security. I think it’s important to keep this in perspective. This is somebody who has served her country for four years as secretary of state. Outstanding job. No one has suggested that in some ways as a consequence of how she’s handled emails did she distracted…” He just blew the case! He just exonerated her. He just obstructed justice. Now, the fact of the matter is, Comey and the guys at the FBI were never gonna prosecute her. They were never gonna charge her. Their effort was specifically to exonerate her, and Obama gave ’em the cover! He’s the president of the United States! “She would never intentionally put America in any kind of jeopardy.” What did Comey say at his July 5th exoneration press conference? “We couldn’t find where she intended to do anything.” Obama obstructed justice and nobody did a damn thing about it, and he did it to benefit Hillary. Not Trump, but Barack Obama! And this business of presidents being pardoned by themselves? From the Law & Crime website, October 28th, 2016. Headline: “If Hillary Is Indicted, President Clinton Could Pardon Herself and Congress Might Be Helpless.” They were looking, before the election… This is a week and a half before the election, and the Drive-By Media is wondering. They know she’s guilty. They know that she is traded in secrets and classified data on that home server, and so they’re wondering if she can pardon herself — and they conclude that she could. “On Friday, just days before the election, reports are emerging that the FBI has re-opened the Hillary Clinton email investigation.” They go on to analyze it and say that if she were to be indicted, she “could pardon herself,” and nobody raised a stink, and in fact, most people applauded. Now when Trump is not even thinking of pardoning himself, Stephanopoulos asks Rudy the question, and then this Rudy goes ahead and answers it, (sigh) putting it in the public domain. Well, all this stuff has already been done by Obama and Hillary with, I mean, essentially no reaction to it whatsoever. That’s how bogus and phony all of this is.